What an amazing and inspiring bunch of women. The panel consisted of Sarah Gordon and Sheila Fain from Gordy’s Pickle Jar, Amanda McClements from Salt & Sundry, writer Ashley C. Ford, and Charlotte Cannon from the Vintage Vogue. 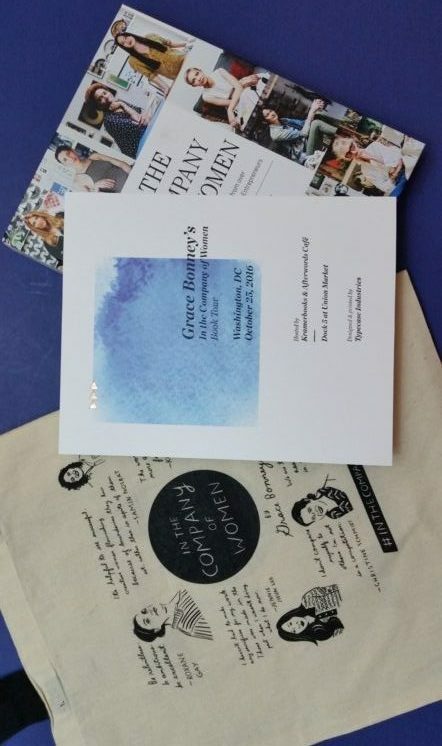 If you’re unfamiliar with Grace Bonney, she’s the founder of Design*Sponge and has a pretty amazing and inspiring story herself. I won’t rattle on about the event, other than to say it was magical and empowering. I just recommend that you pick up In the Company of Women and get inspired yourself. It’s a beautiful book and chock full of great female role models!